Toronto’s Don Jail, originally known as the Toronto Jail was completed in 1864. It is situated in Toronto’s east end at Broadview and Gerrard. Designed by architect William Thomas, it was once known as the “Palace for Prisoners” due to posh design and amenities such as sunlight for each of its cells. 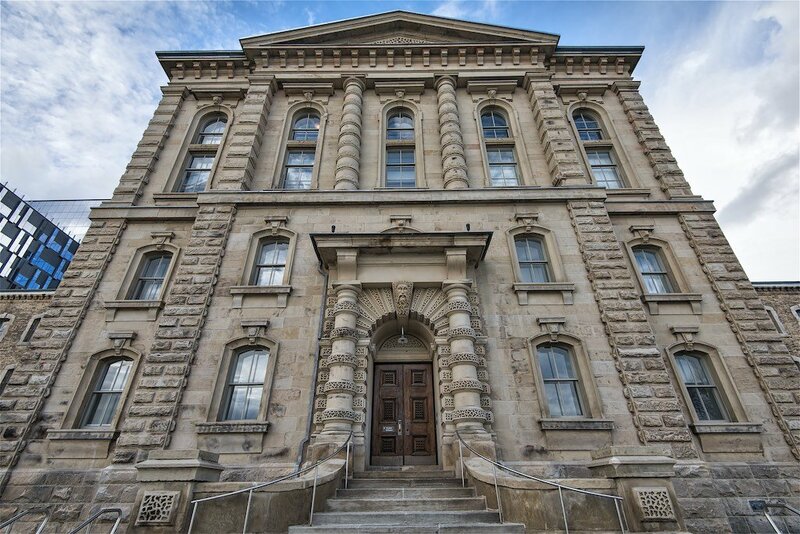 The Don Jail is one of the oldest pre-confederation buildings that still stands today. Its reputation declined over the years due to living conditions and overcrowding. As an example, the east wing was originally designed to hold 276 prisoners but by the time it closed in 1977, there were over 600 held here. Many well-known Toronto criminals were held here including the bank robbing Boyd gang of the late 1940’s and early 50’s. They escaped the clutches of the jail twice as reported by CBC anchorman Lorne Greene ( Bonanza TV show star) in 1952. Toronto’s Don Jail saw many hangings over time – including Canada’s very last hanging of convicted murderers Ronald Turpin and Arthur Lucas on December 11th 1962. In earlier years, men were hanged outside in a courtyard. Hangings at the jail were public events where many gathered with pitchforks and torches to witness the gruesome execution. Hangings were later moved back indoors as the large crowds, witnessing the event, lined rooftops and became unruly. Pickpockets and rum runners protested this action unsuccessfully. Many Toronto residents penned government officials, and while there was consideration to move Don Jail hangings back to the courtyard, complaints from tax paying businesses and homeowners overruled grey market opposition. Today the Don Jail is owned by Bridgepoint Health. Restoration of the property took place in the past decade where sandblasting and other renovations have restored it to her natural beauty. 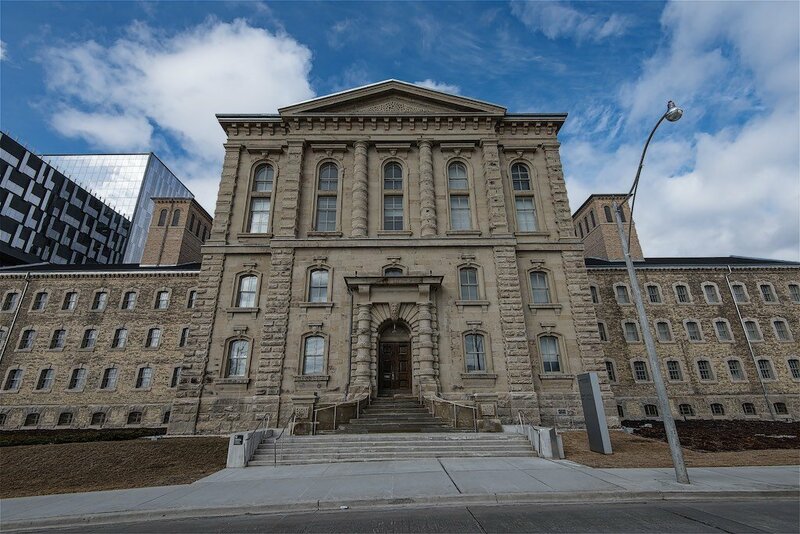 Key features, of the original structure, have been maintained but the insane asylum which shared the ground was demolished to house Bridgepoint’s main facility. The street name, originally named “Don Jail Roadway” has been changed to “Jack Layton Way” after the late life-long politician and socialist. 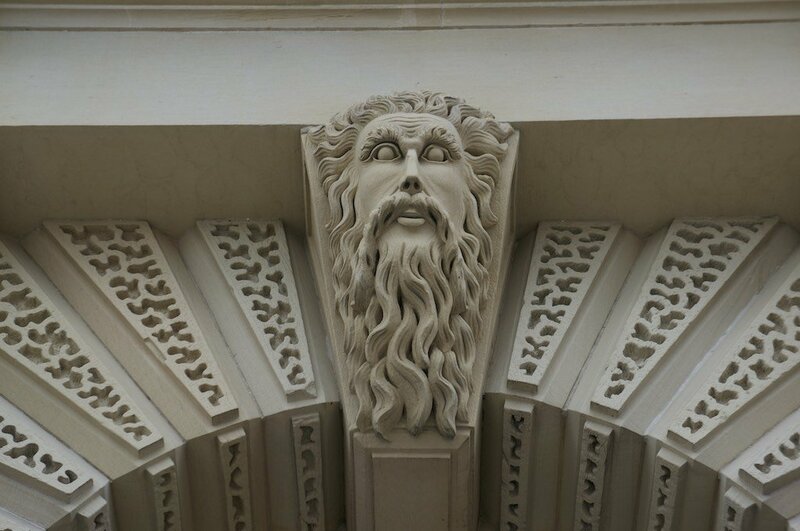 This entry was posted in Architecture, Toronto and tagged architecture, criminals, hangings, Jack Layton, jail, Toronto.